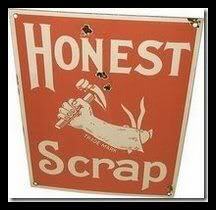 Ages ago Sara over at Unofficial Mom gave me the Honest Scrap award. So the rules are I have to HONESTLY tell you 10 things about me and then pass the award along to other great bloggers. 1. I watch more veggie tales than just about anything these days. 2. I am failing miserably at the 90 day bible challenge. 3. I feel 100x better after a haircut. 4. I love the smell of crayons. 5. I am a total night owl. 6. I think if I had 4 more hours in a day, I might just be able to get everything done. 7. There is always a case of Diet Coke in my fridge. It has it’s own shelf. 8. I heart blue jeans. 10. I sooo need to get back on the exercise wagon. *Thank the blogger who awarded it to you. *Sum up your blogging philosophy, motivation, and experience using five (5) words. 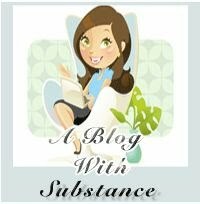 *Pass it on to 10 other blogs which you feel have real substance. Thanks for all the bloggy love! Aren't you sweet! Thank you!! Thank you for the award. Glad I got something today. Wink! Thank you so much, Chris! I really appreciate it! Awww… thanks for thinking of my blog. I am honored ot accept this award. Thank you so much for thinking of me – Cris! Wouldn't be here without you!! Thanks again for the award. Congrats to you and thanks again for getting me started and introduced to such a great group of women. OH! You sweetheart! I am honored! I love your blog, one day I hope to be as cool as you!